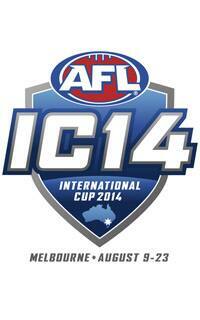 On behalf of the AFL, I want to welcome you to the 2014 AFL International Cup. Over the coming weeks Australia’s Indigenous game will be showcased on an international stage with nations from all over the world coming together to celebrate diversity through football. The International Cup reflects the inclusive nature of Australian Football and the continued enthusiasm for the game around the globe. This is the fifth time the International Cup has been staged following the inaugural carnival in 2002, won by Ireland. This year’s event brings together 18 nations including the addition of Pakistan, Indonesia and Finland. After the successful introduction of a women’s division at the last International Cup in 2011, we’re pleased to have seven women’s teams competing at this year’s carnival. The International Cup brings together the AFL’s international affiliates and many other countries that support the development of the game in local communities around the world. The support the International Cup receives is reflected in the number of countries who are represented in Melbourne during this celebration of football. Linking into the broader community continues to be a priority for the AFL whether here in Australia or around the world and I’m delighted to note that a community round will be played as a curtain-raiser to VFL, suburban, amateur and country football matches for the first time this year. This reflects the AFL’s significant investment and commitment to supporting the development of community football. Our clubs have been developing international ties for several decades while the AFL’s commitment to providing international talent pathways continues to be bolstered each year, as evidenced by the annual International Combines conducted in New Zealand, Ireland and the United States. Further to this, since the most recent International Cup in 2011, the AFL has played two premiership matches in Wellington, New Zealand – the first regular season matches to be played internationally. New Zealand continues to be an important market for the AFL with over 30,000 Kiwi-kickers now playing the game. We are seeing more and more players from outside Australia reach the highest level of the game. Today we are able to provide an elite career pathway to some of the best athletes in the world and, as a result, Australian Football at all levels continues to be enriched by the diverse nature of participants taking up the game each year. Earlier this year at the NAB AFL Under-16 Championships on the Gold Coast, young players from PNG, Nauru, New Zealand, Fiji, Vanuatu and Tonga represented the South Pacific and players from South Africa were part of the World XVIII. The AFL has maintained a longstanding commitment to driving social inclusion and multicultural engagement. Whether it’s at the elite level or at the community level, the game is a place for people to stand side by side and be a part of something together. Since inception, Australian Football has been a game for everyone, regardless of their background or beliefs. Today there is no greater example of the inclusive nature and broad appeal of our game than the International Cup. As well as being an international celebration of football, the International Cup is a powerful vehicle for bringing different communities together. The Australian Football community is proud to connect people from all over the world as enduring relationships are forged through a shared passion for football. Thank you to Telstra for its support of the event. I wish all participants the best of luck and look forward to seeing you at the football.